GENEVA: FIFA's enforcement arm on Sunday warned fans heading to the World Cup not to buy match tickets from touts, whether virtual or physical, saying they could end up out of pocket and unable to see the matches they want. MATCH Enforcement, the division of Zurich-based firm MATCH Hospitality that monitors such fraud for FIFA, said it had even seen black market tickets on offer for almost $40,000, as the June 12 kick-off looms for the tournament. "Ticket mark-ups are one of the main risks that fans face when purchasing from illegitimate, unauthorised or illegal sources, in that they will be paying highly inflated prices for tickets which are very likely to be invalid or counterfeit," a MATCH spokesman told AFP. "We have repeatedly seen fans reporting to us as having paid two to three times the face value on the ticket prices published by FIFA," he said. In some cases, ticket sellers are trying to squeeze even more out of fans. In the online marketplace viagogo.com -- which connects sellers with would-be buyers of concert, sports and theatre tickets -- World Cup tickets have been marked up by almost 500 percent, according to MATCH. According to viagogo.com's customer policy, sellers do not get their money until the buyer has been to the event. But even if they do not ultimately make the pay-out for such a ticket, fans risk being out of pocket because they have spent money on travel to a stadium and are then unable to get in. FIFA voids tickets discovered to have been sold or resold illegally, and the only legitimate online source is the world football governing body's website, fifa.com. "To date MATCH Enforcement have identified around 150-170 websites worldwide engaging in unauthorised ticket resales, with countries such as Spain, the United States, Mexico, China, the Netherlands, Brazil, Britain and Colombia being home to such websites and also the home to fans who are being most affected by this activity," the spokesman said. Fans who have any doubts about the legitimacy of any alleged source of tickets are invited to contact MATCH directly. 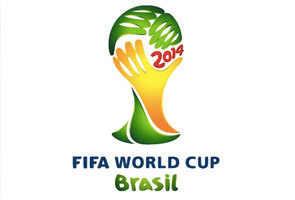 FIFA and MATCH launched their anti-tout drive in 2012, a year before the actual launch of World Cup ticket sales. They face a constant battle to keep ahead of touts, working to identify and counter new techniques used to obtain tickets illegally, and then cancelling tickets and returning them to the booking system when identified. They say they have also bolstered efforts to make the payment process is secure and to prevent phishing and similar cyber-criminal attacks. They are also working with national justice authorities in Brazil and beyond. Under Brazil "Fan Statute" legislations it is a criminal offence to sell or supply a ticket for more than the face value.